I have switched up my posting schedule this week as I have lots to show you lately and I wanted to do this post today! Some of you may have noticed a few changes around here the last couple of days...I have a new blog design and my own domain! I felt like I needed to do a mani to celebrate this milestone for me and my blog. 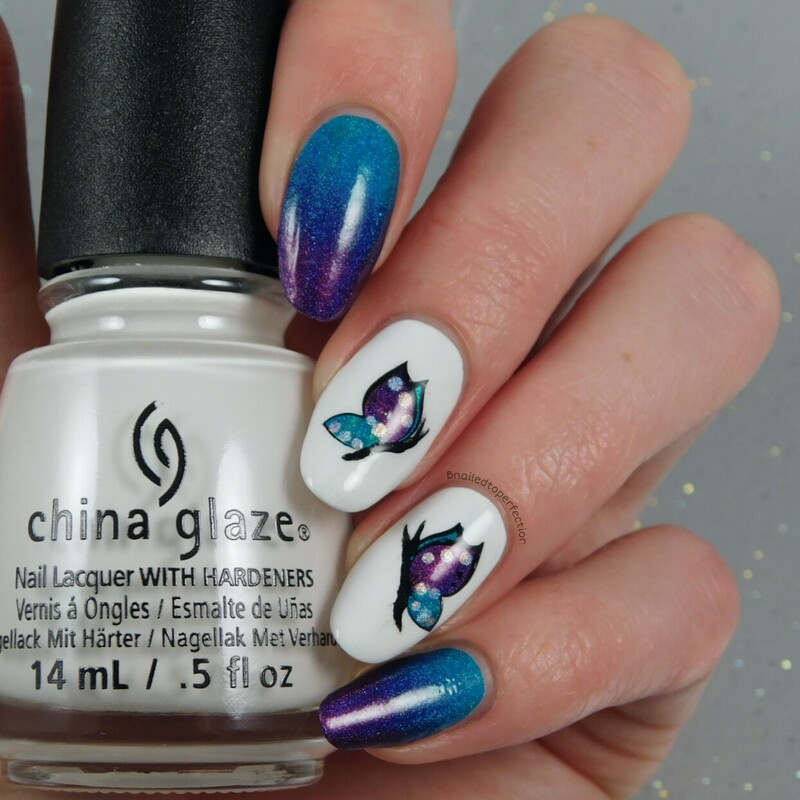 As my new design is very crisp and clean, I went with China Glaze White on white for the base of my butterfly nails. I love this white as it only needs two coats! I also use White on white for the base under the gradient. I made the butterflies using Marianne Nails plate, No.17. 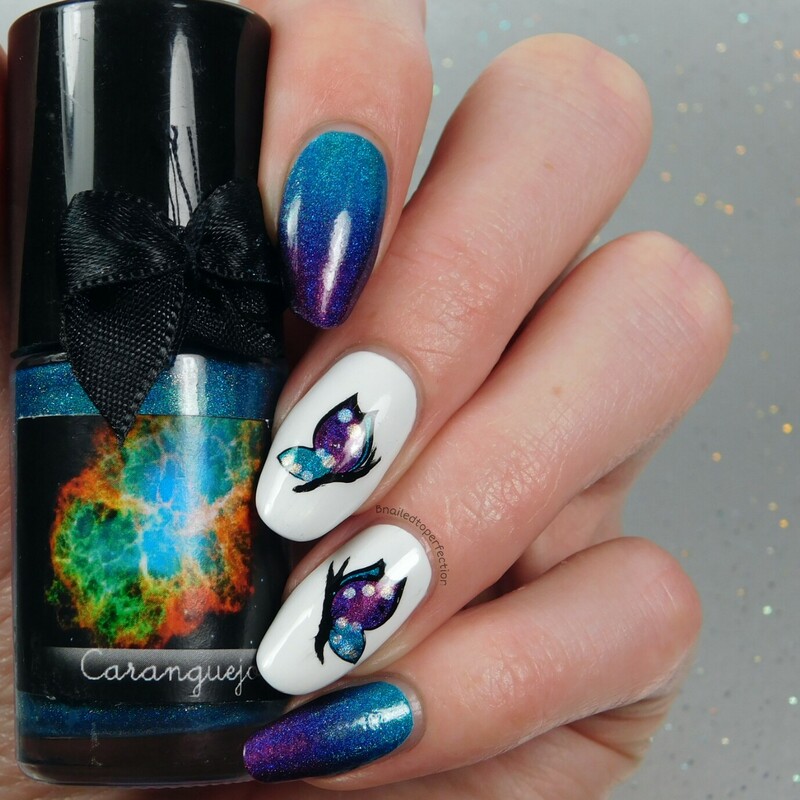 They were stamped using Pinguino from EDK and to colour them in I used Caranguejo and Medusa, also from EDK. When I did the reverse stamping the bodies didn't want to transfer so I had a go at free handing them. They came out ok but could be better. 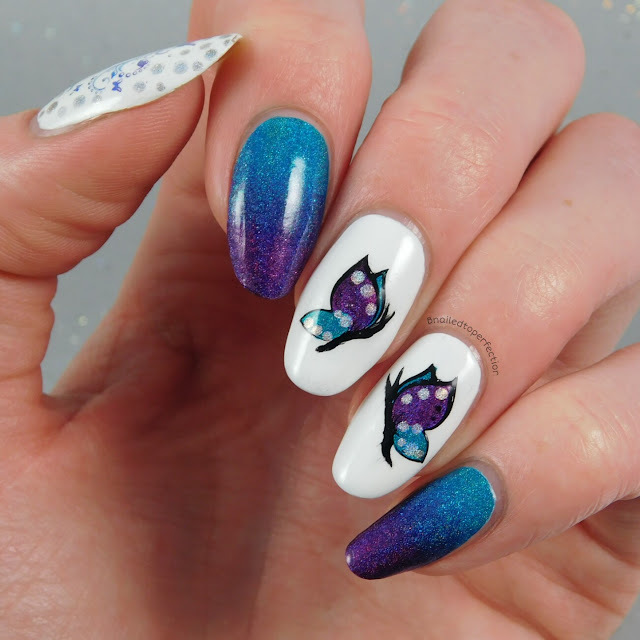 As my blog banner is a gradient of purple and teal I just had to do a gradient in this mani! So I used Caranguejo and Medusa again. They gradient so well and I only needed to do two coats. I really love how this mani came out. Very simple and it reflects my new design quite well. As for my domain, you can now find me at .co.uk and .com! What do you think of my blogs new look? 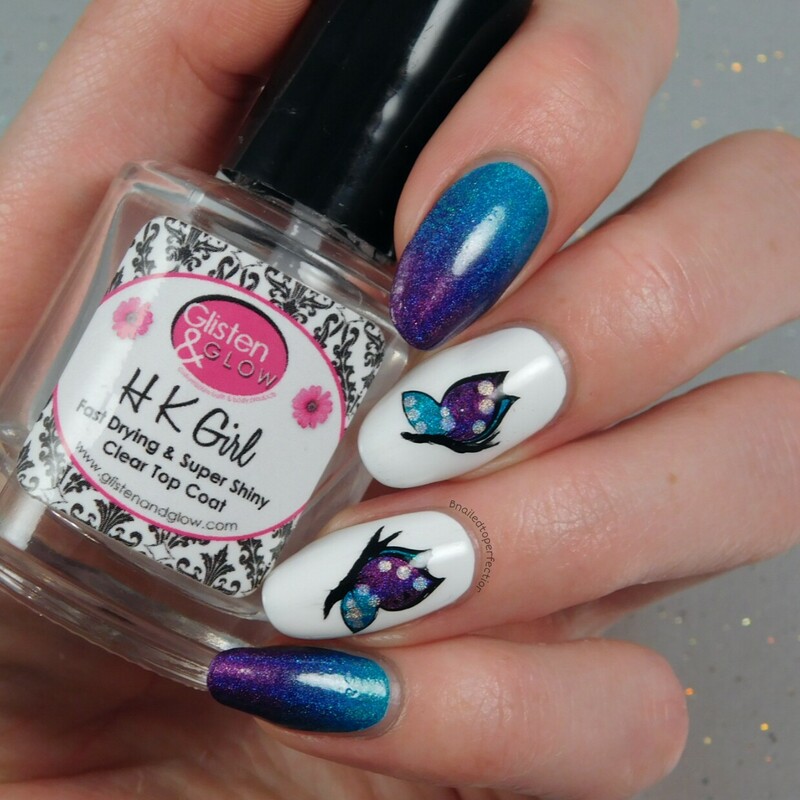 Do you like the mani I created?